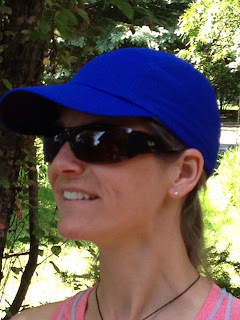 Comfortable and cute - no wonder why the Headsweats Race Hat is their most popular! The Coolmax ® Fabric shell and COOLMAX® Fabric terry headband create maximum air flow and moisture transfer. At less than 2 oz. this is a perfect summer running hat. Also features an adjustable rear buckle with ponytail portal. Check out Kovas' reviews of several other Headsweats hats at Midwest Multisportlife. Get more info from the Headsweats website, by following on Twitter, and by liking onFacebook. Since I am a huge hat wearer (always) when I run, I should check these out! Thanks for the review. It looks great on you to boot! I LOVE Headsweats hats...I have 4 of them! !